Verizon is the last of the major carriers to offer such a plan. Verizon is offering a new wireless plan with unlimited data for $80 per month. Verizon is jumping back on the unlimited data bandwagon. The wireless carrier launched a new plan Monday that offers unlimited data, talk time and texts for $80 per month for the first line when you select automatic payments. Customers can add up to four more lines for $45 per month each. The plan is available to both new and existing customers. 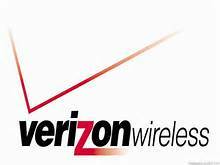 Verizon, which stopped offering an unlimited plan seven years ago, is the last of the major national carriers to bring the option back. AT&T, T-Mobile and Sprint already offer it in some form or another. For years, Verizon has resisted, insisting that its customers don't need so much data. Its new move underscores heightened competition, which is always good for consumers. "The shift in strategy was dictated by market conditions," said Jefferies analyst Mike McCormack. The plan arrives as T-Mobile and Sprint have been trumpeting their unlimited plans. T- Mobile in particular has doubled down on its support for unlimited,eliminating all of its tiered options . Verizon took a veiled shot at T-Mobile, which drew criticism because it killed off more affordable options when it switched to unlimited only. (T-Mobile has said it mitigated some of the impact by "removing" taxes and fees from customers' bills .) "We're not limiting you to a single plan," Ronan Dunne, president of Verizon's wireless division, said in a statement. "If you don't need unlimited data, we still have 5 GB, S, M, and L Verizon plans that are perfect for you.
" Thinking @verizon 's "unlimited" plan might be most expensive ever. And don't forget to add the taxes & fees (+any fees not announced yet)! AT&T, meanwhile, offers an unlimited plan if you subscribe to its U-Verse or DirecTV subscription video service. But McCormack said Verizon's move could push AT&T to eliminate the bundling requirement. An AT&T spokesman declined to comment on Verizon's plan. A key difference in Verizon's plan is the ability to watch streaming videos in high definition. T-Mobile and Sprint's unlimited plans tweak the video so it requires less data and creates less traffic on their networks. Verizon said it upgraded its network to handle the expected bump in traffic from unlimited data users. On Monday, the company also offered a free phone to anyone who signs up for the plan and trades in an existing phone . The sudden support of unlimited marks a reversal of its attitude over the past few years. Just last month, Verizon was promoting its 5GB-per-month plan, insisting that it was enough for most customers. Both Verizon and AT&T ended their previous unlimited offers in 2010, though many customers have clung to grandfathered plans . The plan is billed as unlimited, but there is an asterisk. expensive ever," once taxes and fees are added. Sprint said Verizon is just playing catch-up. Last week, Sprint introduced a promotion for its own unlimited data plan. But there's a catch for that too. The promotional price ends after the first year. The cost of Verizon's plan will not go up after a year, a Verizon spokesman said. "Unlike our competitors, the price is the price," he stated.